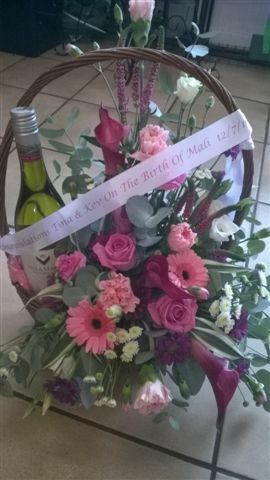 Personalised message to welcome a new baby girl. 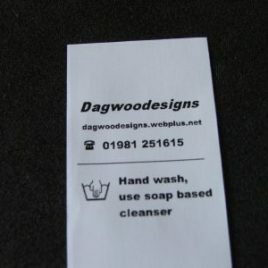 Printing done in magenta onto white double faced satin 25mm wide. Just love the way the printed ribbon made this gift so very special. 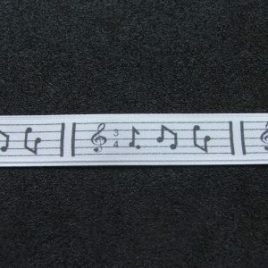 Thanks Jan for printing off the ribbon. 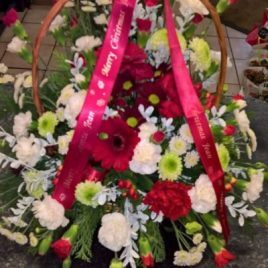 This beautiful Christmas basket design made by Village Florist Pencoed has been finished off using red satin with a special Christmas message printed onto it using metallic silver print and incorporating snowflakes and paw prints. 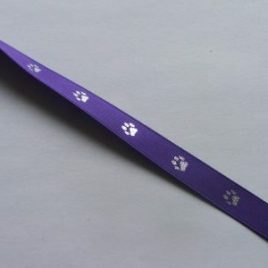 These paw prints can be printed onto any colour satin and also onto 15mm, 25mm, 35mm widths of ribbon. Why not have a combination of snowflakes and paw prints to wrap up that special Christmas present for your special dog or cat.